This quick tip will help you. 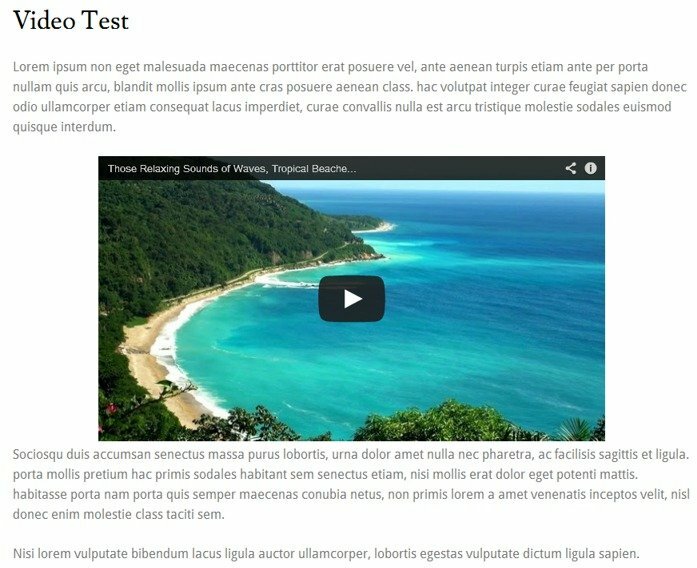 With WordPress, you can go to a place like YouTube, copy the URL, put it into your post, and your video will show up automatically. With this little trick, however, you will need to get the full embed code (not just the URL). And that’s it. You should now get a centered video like the one below. 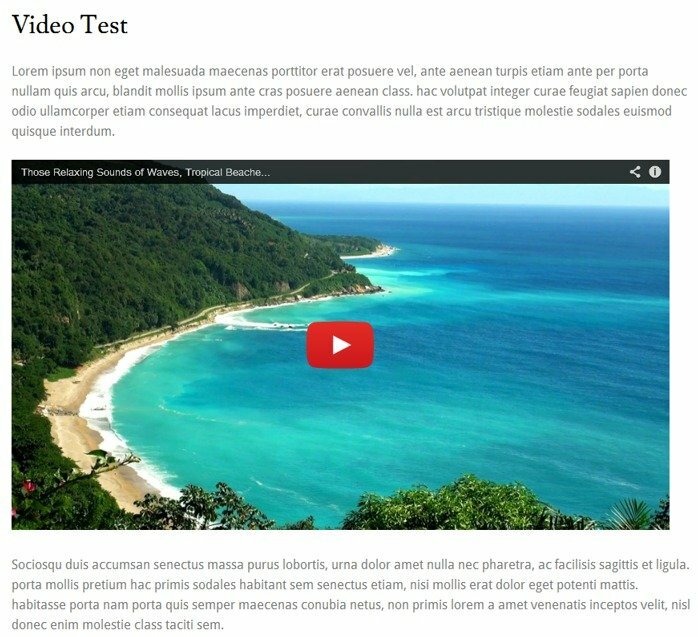 While centered is better then left-aligned, what many people would actually prefer is a video that covers the full width of their post. You can do that by using the embed code too. 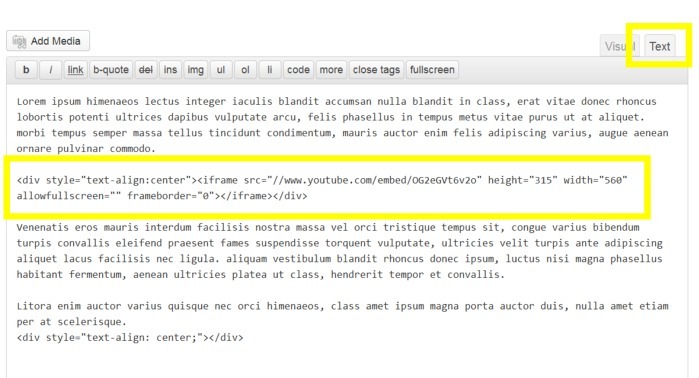 On YouTube (or wherever), just change the embed to be a larger size. YouTube makes this very convenient. You only need to put in the width you want, and it will calculate the height for you in order to keep the video the same ratio. Let’s say, for example, that I know the width of your post area is 700px. Just put that into the width box on YouTube. You will also see the sizes change in the embed code itself. If you don’t know the width of your posts, just play with it till you get it right. 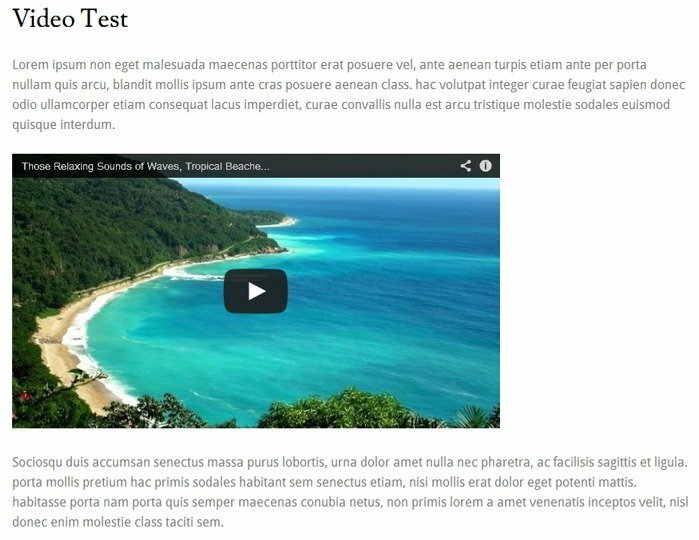 *Note: Of course if your video is the full width of your post, there’s no need to center it. You can just paste the embed code into your Text tab area.